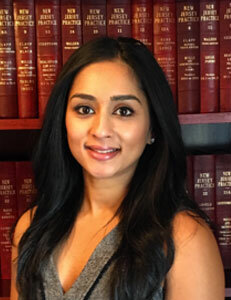 Chandni H. Patel is an Associate Attorney at Mayo and Russ Law Firm in East Brunswick, N.J. She earned her J.D. in 2015 from the Thomas R. Kline School of Law at Drexel University, and her B.A. in 2011 from Rutgers, the State University of New Jersey. She is admitted to the New Jersey Bar Association.